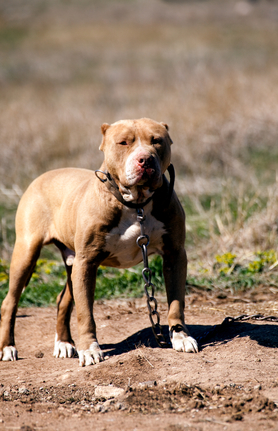 Dog-bites and attacks can prove to be a nightmare for the victim as indicated by several incidents. A young girl was invited to her friend’s house for a slumber party. Unfortunately, what was intended to be a fun-filled evening turned into an agonizing nightmare when the family dog ended up biting the victim several times both in the arms as well as in her face. The dog belonged to the English bulldog and Jack Russell terrier breeds. The extensive wounds on Jaclyn’s face required intensive medical intervention in the form of reconstructive plastic surgery to help repair facial tissues that the dob-bite had damaged. The young dog-bite victim had to undergo repeated facial surgery in order for her face to eventually heal. She underwent the ‘Abbey Flap’’ surgery where some tissue was taken from her lower lip to heal the scar on her upper lip. After the first plastic surgery, the lips were then sutured together for a period of nearly two weeks after which another lip reconstruction surgery has been scheduled. This was a serious dog bite case that attracted national news coverage. But the truth is that several dog-bite victims suffer from severe facial tissue damage that even intensive plastic surgery cannot heal completely. Often a slight disfigurement remains as a gruesome reminder of the traumatic incident. A surprising statistic regarding dog-bites is that victims are often bitten by dogs owned by people they know. This is the predominant reason why families or parents often refrain from pursuing lawsuits to claim compensation. In another shocking incident, a rescued dog, an Argentinean Mastiff (weighing 85 pounds) bit the NBC anchor woman Kyle Dyer on the last segment of the show. The dog has just been rescued from a frozen lake by a heroic firefighter after Max, the dog, had gone into the Colorado Lake chasing after a coyote. She happened to be just bending down to pet the dog when it bit her on the face. She was immediately attended by a team of paramedics and wheeled down for emergency plastic reconstructive surgery. The ‘biter’ dog was eventually transported to the animal shelter where it was quarantined for observation. In June, 2012, in another shocking dog-bite incident, a toddler was bitten twice viciously by a Labrador who belonged to the owner as she played in the backyard. The dog was angry as having been kept out in the sun and sprang at the little girl and attacked her face, leaving her cheek bloody and mutilated. When dog-bites result in facial scars, the victim is reminded of his trauma everyday as he looks at himself in the mirror. If the dog belongs to one of the bigger breeds (and therefore with bigger jaws to bite with), a dog-bite can actually lacerate facial tissue and leave the face disfigured for years to come.